"Both Patrick & Teresa kept in touch with me constantly on progress of my property and helped me to negotiate in my best interest. I strongly recommend Patrick & Teresa for going the extra mile!" Darlene V.
"Patrick & Teresa are so thorough on all aspects of Real Estate Sales. It would be hard to believe that everyone does not have them sell their property. It was a great pleasure to work with them. I highly recommend them to all." Don E.
"We would never want to deal with anyone but Patrick & Teresa! They were serious about their work and kept in contact with us full time, answering any questions we ever had, and always had time for us. They were great!" John S.
"Teresa and Patrick Martini recently sold my home in Hidden Valley Lake. This wonderful husband/wife team brings a high level of expertise and integrity to their profession. Their work ethic is outstanding. There were closing delays and other hurdles on the road to a "sold" sign, but the Martinis remained encouraging and positive. They went the extra mile to ensure a successful closing and sale. I highly recommend Teresa & Patrick to anyone looking to buy or sell property in SE Indiana." Kathy M.
"Patrick & Teresa made our first home buying experience as a newly wed couple very simple and enjoyable. They were always available to meet and/or answer any questions we had. They were very pleasant and knowledgeable." Erin T.
"Pat & Teresa skillfully guided us through the process of buying a short-sale house. They promptly answered all our questions and concerns and kept us up-to-date on the status. It was comforting for us to have a Team that we trusted and we knew were looking out for us. Thank you Pat & Teresa. Job well done!" Mike S.
"Patrick & Teresa Martini went above and beyond their duties as our Realtors for selling our house and buying our land. We weren't the most easy people to work with at times. Their knowledge of the area helped us out a great deal as well. We highly recommend them to anyone we meet and will definitely refer them to anyone we know that is or will be selling property!" Pete B. "From the first telephone call to Mr. & Mrs. Martini, to closing at the bank, Patrick & Teresa were amazing! They communicated with us throughout the entire process. To me, communication is key in every part of life. It was especially key when purchasing your first home. The Martinis were excellent with explaining everything to us along the way. It was a true pleasure working with the Martinis. They are intelligent, kind, compassionate, and honest folks. It sure made the process easy for us dealing with such a great team! Thank you!" Eric D.
"Both Patrick & Teresa went the extra mile for us! We were ready to give up on the sale we thought was going to occur when Patrick said "Let me contact the banker and see what I can find out." The banker made it his personal project to process a loan for the buyer....and the rest...as they say....it history!" Steve A. "Patrick & Teresa were exceptionally professional, well prepared, and prompt in every aspect of selling our house. Thank you for your efforts in moving things along very quickly." Sandy M.
"We had an unusual circumstances that Patrick & Teresa handled very professionally. We had a family home, owned by 8 siblings, a manufactured home with brand new buyers. 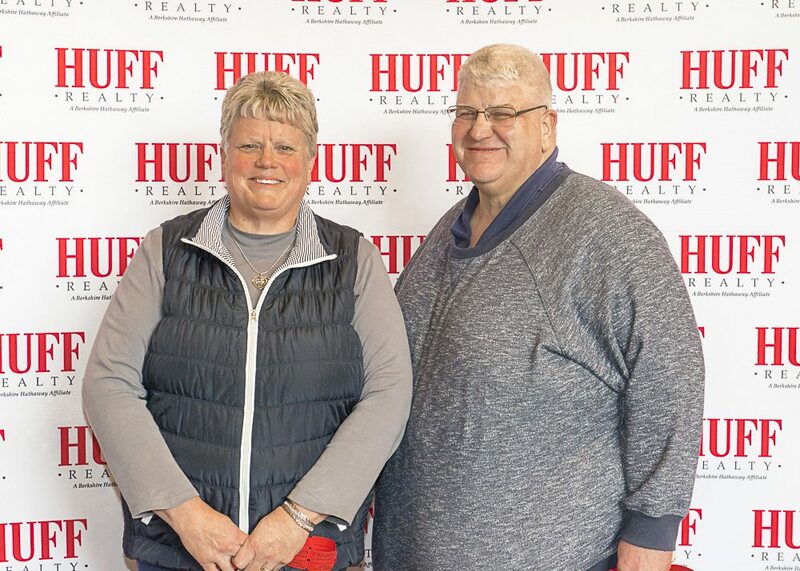 Between trust/estate problems, HUD requests, necessary repairs, and engineering inspections, Patrick & Teresa helped work through every step and this finally resulted in a happy sale for all concerned. They both did a great job for all of us. We will look for them for all future needs." Norma N.
"What a great team!!!!! Patrick & Teresa were very helpful in selling our mother's house. From our first meeting to the close of the house, they had every detail in order, pictures, answering questions, and all the proper paperwork was there the first time. If we were selling our house, it would be posted with Patrick & Teresa because of all the hard work they put in while selling our mother's house. Thanks again to Patrick & Teresa and we highly recommend them!" Mike C.
"I think the Martinis went far above what was expected of them. They had my interest at heart, they made the transition smooth and made me comfortable with breaking up housekeeping." Donna G.
"Patrick & Teresa were very helpful during the process of purchasing our land. They are very reliable by answering and returning any of our phone calls in a timely manner. In addition to meeting us at the land to show us around. They are most defiantly easy to work with, very personable and professional. We appreciate having the opportunity to have worked with them." Chris K.